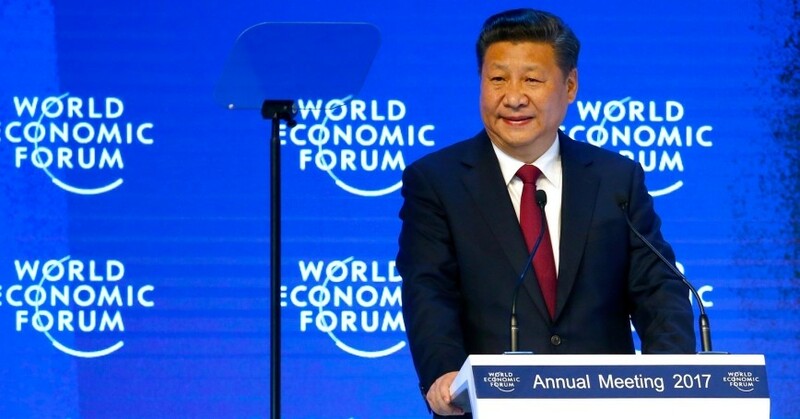 As President Xi Jinping became the first Chinese leader to appear at the annual gathering of the World Economic Forum, he gave a keynote speech that defended global trade and criticized protectionism. It was a moment ripe with ironic overtones. Xi, the leader of an ostensibly communist nation, championed global free trade, while Donald Trump, the new leader of the world's most powerful free-market economy, has proposed protectionist measures to defend embattled industries. Another irony: Xi's praise of the virtues of open trade contrasted sharply with his country's own increasingly hostile treatment of foreign companies. Addressing these anxieties, President Xi admitted that many now regard globalization as the “opening of Pandora's box.” But he argued in favor of more, not less, trade and for more global movement of people and capital. He warned “nobody wins a trade war” and called “impossible” any attempt to “cut off flows of capital, technologies, products, industries and people between economies.” His speech reflected, in part, the reality that China has profited enormously from decades of globalization, averaging about 10 percent annual gross domestic product growth between 1989 and 2016. Xi's ascent at Davos underscored China's stronger interest in issues of global governance. However, China's approach also includes new points of emphasis, some of which could prove complementary to existing, western-led efforts. For example, Chinese leaders have proposed major spending initiatives that could expand the pool of consumers and facilitate trade opportunities for all countries. In the lead-up to Davos, China's official media heavily promoted the “Silk Road Economic Belt and 21st Century Maritime Silk Road,” which authorities hope will create a sustainable market for world exporters in the Asia-Pacific. Similarly, China's Asian Infrastructure Investment Bank has been viewed as a rival to the U.S. and Japan's Asia Development Bank, but the two banks signed a memorandum of cooperation in 2016 for joint investments in major infrastructure, energy and telecommunications projects. Other Chinese economic initiatives compete more directly with those led by the United States and could aggravate tensions. Both countries have advanced competing regional trade agreements, for example. China backs the Regional Comprehensive Economic Partnership, while the U.S. supported the Trans-Pacific Partnership, whose status appears stalled for now. And the competition to shape standards and norms in the higher-end technology market is already intensifying. Some Chinese economic initiatives compete more directly with U.S.-led ones and could aggravate tensions. 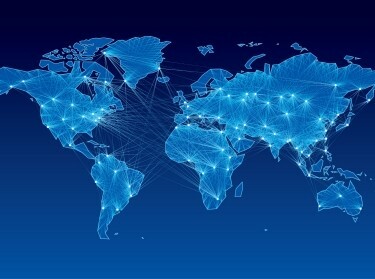 Nor is Chinese interest in global governance limited to the economic domain. The ideal of “community of common destiny” frequently invoked by Chinese leaders entails, after all, the idea of “two wheels” of economic and security cooperation that “move together.” As with economics, China's approach to reforming the security order carries elements of continuity and change. On the one hand, authorities have consistently upheld the importance of the United Nations, in which China retains a veto power. At the same time, Beijing has proposed revisions to existing security arrangements in Asia. Last week, China released its first white paper on “Asia Pacific security,” in which it argued against the types of alliances upheld by the United States and for the unaligned security arrangements favored by Beijing. By advocating for reforms to economic and security global governance, Beijing seeks to shape the terms of collaboration with established powers as it pursues steadier economic growth. But the same trends that fueled China's rise have weakened the international consensus over basic norms, intensified interstate competition and exacerbated problems of inequality in most countries, including China. Finding ways to enhance international collaboration while addressing the demands of frustrated citizens will continue to challenge even the most skilled of politicians. Speeches that praise the merits of globalization, as Xi's did, may earn enthusiastic applause among the globe-trotting elites at Davos, but far more will be required to win over the embittered masses who see little to be gained from following such a path. Timothy R. Heath is a senior international defense research analyst at the nonpartisan, nonprofit RAND Corporation. He is the author of “China's New Governing Party Paradigm: Political Renewal and the Pursuit of National Rejuvenation” (Ashgate, 2014). This commentary originally appeared on U.S. News & World Report on January 20, 2017. Commentary gives RAND researchers a platform to convey insights based on their professional expertise and often on their peer-reviewed research and analysis.